“RPK Araski”. As of today, this will be the name of the team that will compete in the Dia League in the 2018/19 season. The RPK Cooperative Society became a major part of the Araski support group at the beginning of the year and today their stake in the Araski project has taken a huge leap forward. The Vitoria-based company, founded in 1974 by 19 entrepreneurs, is now a flagship for industrial cooperative societies in our region. It has the capacity to offer solutions to various sectors such as automotive, electric, medical or industrial in general and has a cutting-edge technological specialisation in the production, predominantly, of all manner of springs. RPK has been growing in terms of production, with a firm commitment to the highest level of quality and to R&D+i, through its Technological Centre. At the same time it has diversified its production, and opened up new markets and manufacturing centres all over the world. It has always considered parity between women and men to be essential, as well as equality in professional relationships and in workers’ rights, thus committing to building a values-based enterprise. Clear common goals and a mutual understanding between both sides over these months has strengthened the relationship, enabling the creation of this significant deal that we are announcing today. The most immediate and obvious effect of this partnership is the new name for the first team, which will be accompanied by various forms of publicity. However just as significant, or perhaps more so, will be the joint actions which will serve to promote the values of the cooperative as a tool for social transformation, the attracting of talent and, very importantly, the breaking down of female stereotypes and barriers against women in the industrial and sporting arenas. In this sense, the support of RPK will reinforce Araski’s bid to create a Social Area within its organisational structure from next season onwards, the details of which will be released soon. “We are delighted to receive this support. 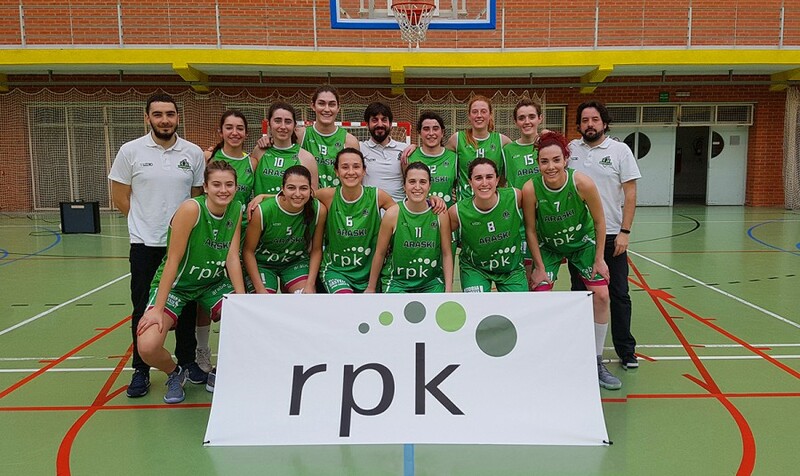 For a company as important in the industry of Álava as RPK to decide to support us in this way has given us an enormous boost to carry on working towards our goals, consolidating a project which is much more than just a Female League. We are both excited and serious about facing the big challenge which RPK has given us, namely to create spaces where values can be expressed, in which the top team players will have a pivotal role,” explained a happy Livia López, the President of Araski. Without doubt this is great news for all of the Araski family. Thank you RPK S. Coop. !